Sivert Pederson was born in Sigdal, Norway, in 1846. His family emigrated to America and settled in Winneshiek County, Iowa. Although only sixteen Pederson joined the Scandinavian Regiment on the outbreak of the Civil War. 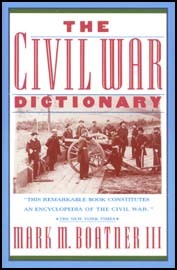 Pederson fought at Murfreesboro (Stones River) on 31st December, 1862 and in "recognition of distinguished gallantry" was granted the honorary rant of Brevet Captain. The citation stated: "In this retreat the men became scattered and the rebel cavalry followed up their advantage and captured many prisoners. 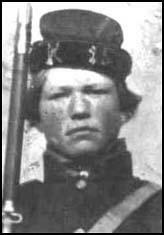 Pederson was commanded by rebel cavalryman with some rebel comrades near him to surrender but seeing some of our cavalry advancing from the woods and encouraged thereby refused and fired at the rebel and killed him. By his coolness on this occasion he not only saved himself but also saved several who were near him." At the Battle of Chickamauga (19th - 20th September, 1863) the Scandinavian Regiment suffered heavy casualties including the loss of its commander, Colonel Hans Heg. Pederson was taken prisoner and held at Andersonville Prison. Sivert Pederson died in the camp of scurvy on 5th September, 1864.